Look around – on buildings, in the street, around the corner – it’s a safe bet you’ll see Avery Dennison Graphics Solutions at work. 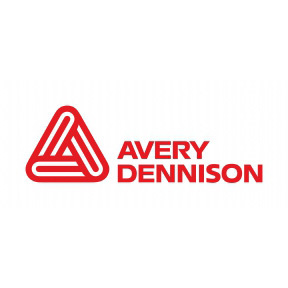 Avery Dennison is a world leader in graphic films that identify, promote and inform. We use our extensive experience and creativity to help companies across the world bring brand visions to life in powerful and exciting ways. performance. Access a whole new spectrum of creative possibilities, including printable films with pure canvas, crushed stone and natural stucco textures. A choice of adhesives supports the creation of unique short- and longer-term decoration. They are ideal for hospitality areas, retail areas, exhibitions and more. The thick face of the film provides opacity for full coverage of the wall and allows for easy application. Digital Wall Film materials make transforming an indoor space easier and more visually rewarding than ever before. See and feel the graphic difference with Avery Dennison textured wall films. With detailed and colorful image pop, these wall films are ideal for digital printing with solvent, eco/mild solvent, latex and UV curable inks. Avery Dennison digital wall films offer a choice of removable and permanent pressure-sensitive adhesive options. Best of all, Avery Dennison digital wall films offer quick, easy and clean installation as well as removal. For a smooth, matte finish, with the ability to print edge-to-edge and no white border, MPI 2611 is the film of choice within the MPI 2600 product series. The application ease and visual performance of the Avery Dennison Graphics Solutions digital wall films are uniquely suited for indoor branded retail decoration, hospitality and commercial space interiors, as well as exhibitions. Avery Dennison is constantly innovating to make graphics more exciting, more noticeable and easy to install. 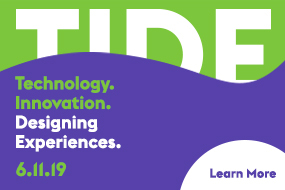 We help experiential graphic designers consistently transform new ideas into powerful and impactful messaging.